Australia have produced some brilliant cricketers over the years across all departments. The one thing which Australia has always had is a strong pace bowling attack. Whether it is in Tests, ODIs or T20Is, Australia have always had pacers who could give even the greatest batsmen a run for their money. Many terrific fast bowlers have come from Down Under, with some ending their careers as the finest exponents of fast bowling. So let’s take a look at the Top 10 fast bowlers from Australia. Ray Lindwall was one of the greatest pacers during the 1950s. A former rugby player, Lindwall was known for his immense pace and swing. He took 228 wickets from 61 Tests, including 12 five-wicket hauls. His best bowling in tests was 7/38 against India at Adelaide in 1948. Lindwall was an essential entity of the Australian side of 1948 nicknamed The Invincibles. Along with Keith Miller, Lindwall formed a lethal fast-bowling partnership which was difficult for most batsmen to play against. However, Lindwall’s peak was to come in England in 1953. During a match against Surrey at the Oval, Lindwall was to bowl an over to Peter May, who was considered to be the finest batsman to emerge from the post-war era. 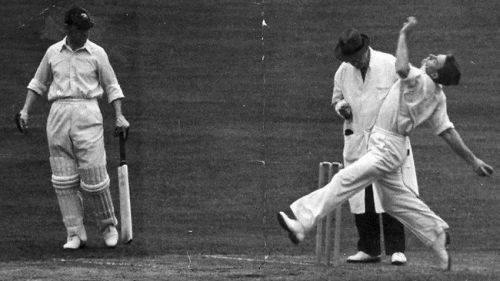 Lindwall bowled three inswingers and as many outswingers in an over which May himself considered to be the best over in any level of cricket. Lindwall had a brilliant Ashes that year, picking 26 wickets at an average of 18.84. He was also a pretty handy lower middle-order batsman, scoring two Test centuries. Jason Gillespie made himself a regular for Australia in an era which is probably their strongest in bowling terms. 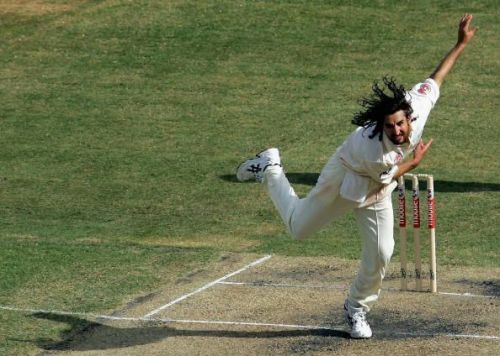 Despite the presence of the likes of Warne, McGrath and Lee, Gillespie managed to take 259 Test wickets which the 6th highest by an Australian bowler. He also has 142 ODI wickets to his name. The tall, lanky pacer made his international debut in 1996. In 1997, he cemented his spot in the Australian Test team by picking up two five-wicket hauls. The latter one against England at Headingley is his career-best in Tests. In ODIs, Gillespie has three five-wicket hauls to his name with his best bowling figures being 5/22 against Pakistan in 2002. He was also a part of Australia’s 2003 World Cup winning squad before withdrawing after four games. Dizzy was a pretty handy lower order batsman as well, scoring a double-century against Bangladesh in 2006. The most amazing thing about Jason Gillespie is that he was able to pick up 400 international wickets despite going through injuries quite often during his career. However, these injuries eventually ended his international career in 2006. One could only wonder where Gillespie would have been standing had his career not been plagued by so many injuries.